GB's Qbit LTE - The Ultimate Lightweight Reclining Travel Stroller? This post contains affiliate links. Please see the Disclosure page for additional information. **Please note that the original GB Qbit has been voluntarily recalled by the company and replaced with the GB Qbit LTE. The LTE is designed to provide all features of the original Qbit but has been modified to address the hazards that led to the recall. “Maximizers are people who want the very best. Satisficers are people who want good enough,” says Dr. Barry Schwartz, a professor of psychology at Swarthmore College in Pennsylvania and author of “The Paradox of Choice.” He and others say that satisfiers tend to be happier than maximizers in their decisions. I like to have the "very best," it is even reflected in the name of this site! My husband and I chose our full size stroller in about ten minutes and love it, which fits with this theory. 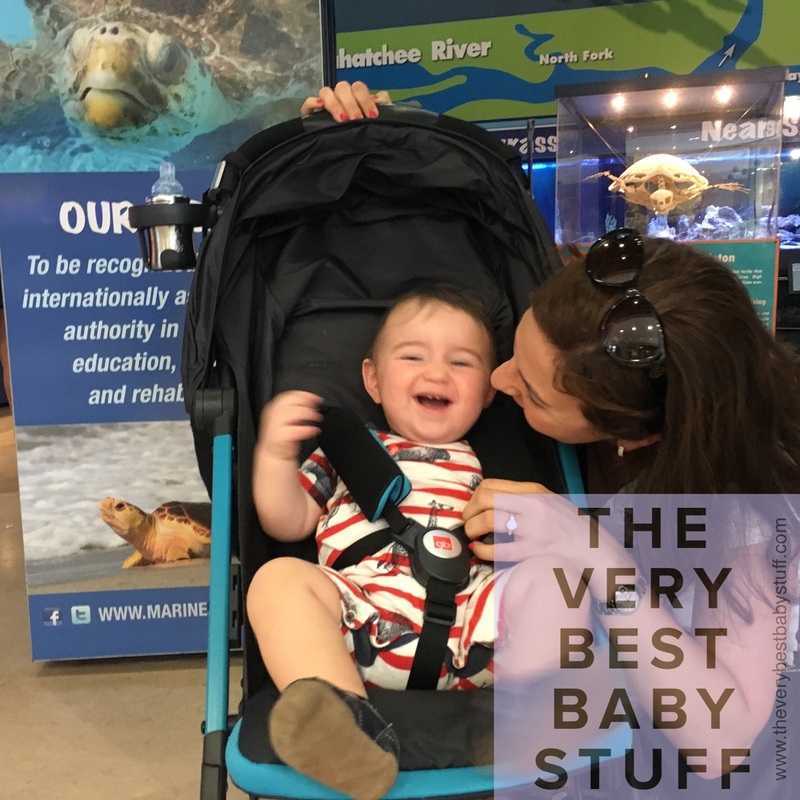 When it came time to choose a lightweight / travel stroller I felt paralyzed in my decision because I didn't think I would find one that meets my needs. 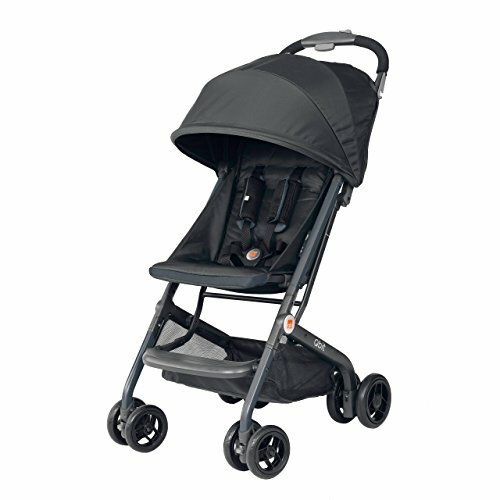 Luckily, shortly before a trip to Florida for which I needed a lightweight stroller, I came across GB's QBit. It met all of my criteria. After trying it out on NYC's subway and streets and on my trip, I am happy to report that it is the right lightweight stroller for me (even my husband is impressed by it). Please read on for my criteria, other contenders, and details about my experience with GB's QBit. 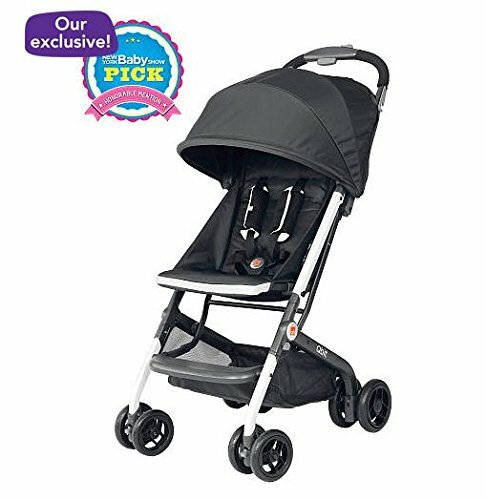 Until I came across GB's QBit, I couldn't find any stroller that met all of my criteria. I was feeling like a total "maximizer." The closest that I found were the BabyZen Yoyo and the Mountain Buggy Nano. The BabyZen Yoyo handles beautifully and has all the features that I wanted. I stopped so many people on the street to ask how they like it. They all raved about it. It was, however, way out of budget and the fold "takes some getting used to" according to many of the owners that I spoke with. The Mountain Buggy Nano was another strong contender until I gave it a test drive. One feature of this stroller that makes it unique is that you can attach an infant car seat with the included bungee cords and no adapter, which is very convenient for traveling. When I tried the Nano I was very disappointed. I stand at 5'4 on a good day and found the handlebar to be too low and the sun canopy to provide almost no coverage. I was back at square one and running out of time before my upcoming trip when I came across GB's QBit. I was sold nearly instantly. It has every feature that I was looking for (see my list above). Of particular note, the fold is easy and much more intuitive than the Yoyo or Nano. I loved that I could easily fold the stroller in one step with one hand while holding my not so svelte nine month old in the other arm. The handlebar is also about an inch higher than the Nano's (which I found to be low) and angled differently, which made a world of a difference for me. My only hesitation was that I had never heard of the brand or the stroller model. I reached out to the company and did a bit of research on my own too. I learned that GB is new to the U.S., which explains why I was unfamiliar with the brand. It launched at the ABC Kids Expo in September 2014. Its parent company also owns Cybex, Evenflo and Urbini. GB's parent company has 25 years of design, development and testing under its belt. I own and am happy with my Cybex car seat, which made me feel more comfortable with the brand. I was pleased to find that no assembly was required other than snapping on the four wheels and the cup holder (yes, it includes a cup holder). I practiced folding and unfolding it a few times and was amazed by how easy it was. I knew that the stroller included a transport bag and at first thought that it was missing but then found that it has its own storage pouch under the seat. I thought this was nice as it makes it less likely to misplace it. I live in downtown Manhattan and the first time that I used it was on a subway trip to a reunion of my new moms group at the home of one of the members who had moved uptown. The handling of the stroller was far superior to what I expected. It was able to handle bumps and I could steer it with one hand for at least a few seconds at a time (convenient if you need to check your phone quickly, grab a sip of your drink or check your plane ticket). I was able to take my son out and easily fold the stroller while holding him and carry both him and the stroller up and down stairs. I don't want you to think that New Yorkers are all jerks -- there was no one in sight to help me for the first flight and for the others I declined because I wanted to see if it was manageable on my own so that I could report back to you (sure, think of me as your personal martyr). My son is an amazing eater, so holding the stroller is easier than holding him. See my post on starting solids to learn how I got him to be an adventurous eater. When I exited the subway and opened up the stroller, the transport bag under the seat popped out as the stroller snapped open. Apparently I had not closed the under seat pocket properly. Not a biggie, just something to watch out for so you don't lose yours. All the other moms at the reunion (including the ones who own the Nano) were checking out and marveling over the stroller. The friend who was hosting lives in an elevator building with about five stairs at the entrance. This is where I discovered one minor design flaw: the placement of the break. If you try to bump the stroller up or down the stairs, the break catches on the edge of the stairs and gets activated, which makes it harder to bump the stroller up and down. I've heard that this is an issue with many lightweight strollers. Later in the day we met family for dinner at a restaurant in a mall in New Jersey. S was due for a nap. I wasn't sure that he would fall asleep with only a partial recline. I threw a swaddle blanket over the stroller and was relieved that he fell asleep easily. We then had him sleep in the stroller at the table and the stroller didn't get in the way at all. When he woke up, I took him out of the stroller but didn't bother folding it because it is small enough not to be in the way. In short, it was a breeze! On a dare, we packed only carry on for the trip. This meant that it was up to me to manage the baby and stroller while my husband rolled two carry-on suitcases through the airport. I was able to fold the stroller up and put it on the security conveyer belt on my own without any trouble all while holding my son. 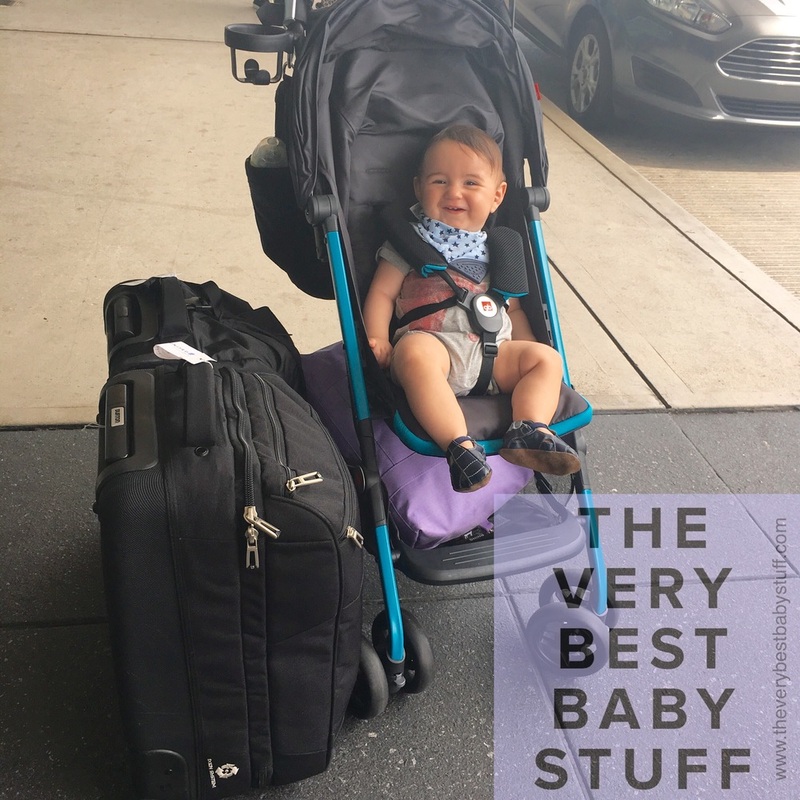 Before boarding, I transferred him to the carrier (see my post on choosing a carrier and what to take along when carrying a baby). My husband did help put the stroller into the included transport bag for gate check. I think that this would have been dificult for one to do alone while holding a baby. If you are traveling alone, you may need to recruit someone for assistance. According to the brand, the stroller fits in the overhead compartment so you don't need to gate check it, but I didn't test this out. I attached my stroller organizer to the handle bar and it didn't get in the way of the fold at all. I also attached my diaper bag using stroller clips. The stroller is pretty sturdy. I felt comfortable that it wouldn't tip as long as I didn't put anything too heavy in the diaper bag. The basket under the seat is decently sized and angles up at the edges to keep things from falling out. I was able to fit a sizable Herschel bag down in the basket (we may not have checked bags but I wouldn't say that we traveled light). I think that the heavier the contents of the basket the more you can put in a hanging bag without worrying about the stroller tipping. At the airport with the stroller fully loaded with our favorite carryon (has cram pockets and holds way more than you would expect) and a great Herschel bag under the seat (it works really well as a large lightweight diaper bag). As I mentioned above, the brakes aren't ideally placed, making it hard to bump the stroller up or down stairs. I would prefer if the under seat pouch for the bag snapped closed so that I could be sure that it was closed securely and not risk losing the bag. It would be nice to have a mesh or peekaboo window in the canopy to be able to check on the baby. The straps are a bit thin so they are prone to twisting. **Update: When my son reached a certain height (about age two), the stroller fabric would fold a certain way when he was sitting in it giving him less than ideal posture. I stopped using the stroller at this point. It was my daily workhorse stroller for a full year before that started happening. I happened to be tickling S here, but he was otherwise very happy in his QBit. You may also be interested in my post on the must-have travel crib and traveling with a baby. At my request, GB provided me with a free stroller for purposes of writing this review. All opinions are my own. Great deal on these amazing play, craft and STEM kits for ages 0-14!